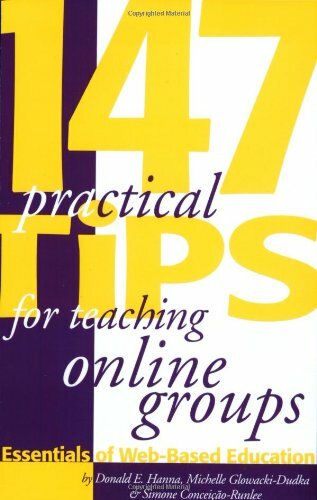 From 147 Practical Tips for Teaching Online Groups by Donald E. Hanna, Michelle Glowacki-Dudka, and Simone Conceição-Runlee. In marketing a program or course, it’s important to understand the needs, backgrounds, characteristics, and expectations of the target learners. Online courses that attract participants from diverse locations may have learners with different needs. Some learners, for instance, may require special accommodations, such as large print on course materials, or software programs that assist in decoding graphics or text in a web-based environment. One way to address the anticipated cognitive or performance needs of your learners is to send them pretests or surveys before the start of the class, or to have them compete portfolio reviews during the course. 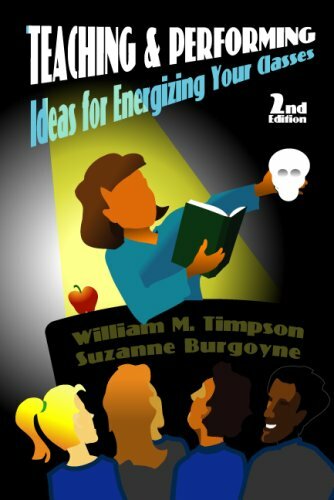 By understanding the learners’ needs, you can vary the presentation of materials to fit diverse learning styles, develop supporting materials, and present content in ways that offer learners different labels for the comprehension of concepts. This icebreaker will probably be the first connection that you make with your students. 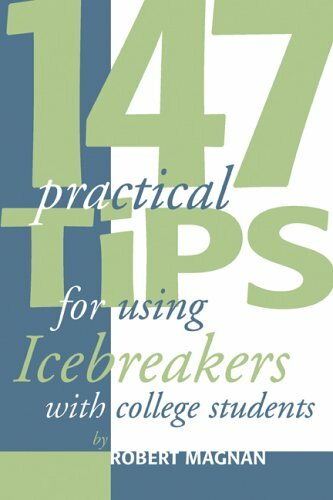 A more serious icebreaker may send a message that your course may not be very enjoyable. On the other hand, a silly icebreaker may cause students to assume that they can take a casual attitude toward your course. It can be a touch call. How have students reacted to the course in the past, with you or with colleagues? If they seemed anxious or even afraid, then it may be better to err on the side of fun. If they seemed too relaxed— attendance problems, inadequate effort on assignments, insufficient preparation for quizzes and exams—then you could start out better with a more serious icebreaker, preferably focused on the course content. 8. Work with your students as a team. We may be perfectly organized, yet our students have trouble following us. Or we may enter the classroom still trying to put it all together, and emerge triumphant, knowing our students were with us all the way. Strange? Not really. Often our feeling of organization actually undermines our progress. Two different worlds: we create organization through preparation, but our students perceive organization through communication. Show your game plan! Enjoy! And have a great semester! 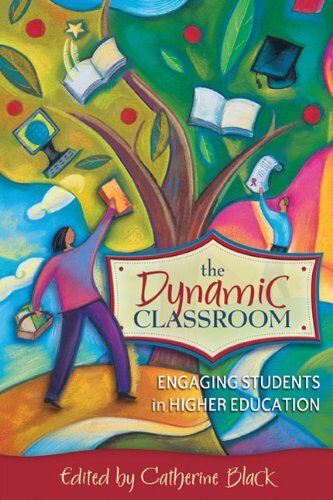 During our recent appearance at the Annual Conference on Distance Teaching & Learning in Madison, Atwood Publishing debuted our new Professional Development Package, to much excitement (there was even a raffle drawing!). 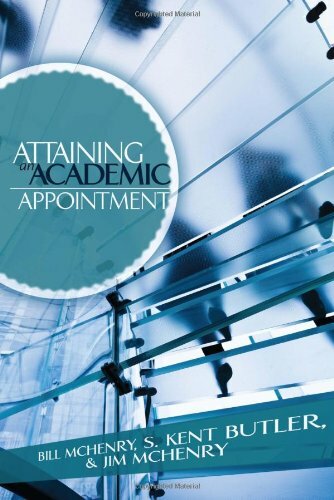 -And Attaining an Academic Appointment, a practical and insightful guide for academics seeking a new position, delivering strategies to maximize opportunities and minimize unwanted surprises. This fantastic combination is available for only $35.00, saving you over $5! And to further whet your career development appetite, we’re dishing up some exclusive excerpts from these two wonderful titles below. and if you do what you love you will be successful. are important to keep in mind before you make your next career move. in your job search as you did in your graduate studies. 44. Identify the professional and academic conferences which fit your content area/s and method/s of research. When we work on our research, we always have in mind not only venues for publication, but also conference presentations. Indeed, it is helpful to present your work at conferences prior to submitting for publication, because you can gain valuable feedback and insight about your analysis, discussion, and interpretation. With these purposes as the premise, select the conferences where you believe you may gain the most relevant and best feedback for your work. How do you determine which conferences suit your specific needs? First, we consider whether a professional association or conference publishes or sponsors the journal within which we aspire to publish. If not, we determine which conferences our target journal’s audience attends in order that we might engage with them. Third, if we also do not know where they attend, we identify the best conferences in the discipline that welcome scholars at our level of expertise. You can find out more about these and other exciting titles at our website: atwoodpublishing.com. A quick announcement: We just wanted to let you know that Atwood Publishing will be hosting a booth at the 30th Annual Conference on Distance Teaching & Learning August 12-14 in Madison, Wisconsin. Sponsored by the University of Wisconsin-Madison, this event is a great place to hear leading experts and share best practices with colleagues from around the world in the field of online education and training. Plus, Madison is a beautiful place to visit in the summer. If you’re not familiar with this event, and want to find out more, I encourage you to visit their website at www.uwex.edu/disted/conference. Hope to see you there! After an unforeseen delay, the Tips are back, and with a vengeance! This week we’re doling out four tips for the “price” of three. 112. 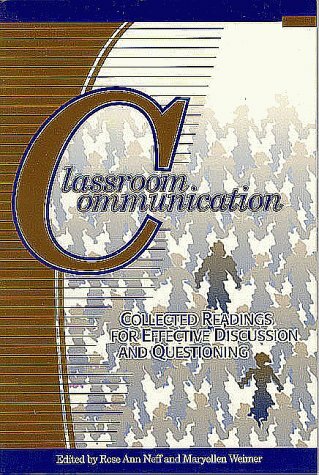 Gain agreement with the learners about rules, norms, and procedures for discussion — and do so from the start. Interactive online courses depend on the relationships and trust developed between and among you and the learners. If the learners are to play an active role in developing the course atmosphere, you must preliminarily define the structure, rules, norms, and procedures for course discussions upfront — but then give your learners the chance to suggest important modifications. Some teachers routinely build in and act upon opportunity for revisions in the course plan and structure. Doing so gives learners a sense of ownership for the community that they’re helping create. 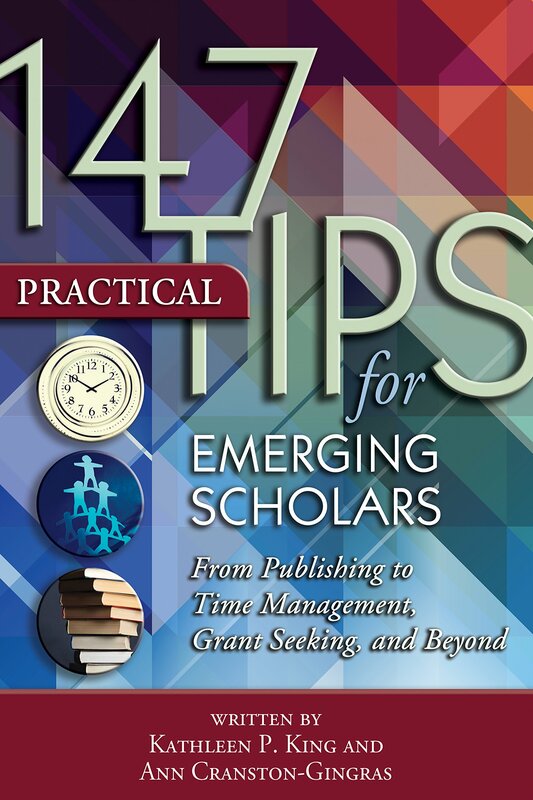 Finally, we present two additional gems from the forthcoming latest book in our 147 Tips series, 147 Practical Tips for Emerging Scholars, by Kathleen King and Ann Cranston-Gingras. 6. Develop or join a local research or writing collaborative. tune out new developments and rely solely on our doctoral preparation. Here’s a new batch of tips warmed perfectly by the summer heat, just in time for the start of June! As the semester closes and you transition into summer mode, remember to refresh your mind every now and then with new tips for your classroom, your practice, and yourself. 48. For each project, decide whether you will write to a target audience or write the manuscript and let it find a home. Should you tailor an entire project for a specific target journal, or should you simply do a good job writing up the project and then find a home for it? The answer is YES. Actually, it depends on the project. At some point before you finish the manuscript, you certainly need to tailor it for a specific journal. Two cautions are pertinent. First, developing a project for a narrow and/or unique journal can be dangerous. What if they do not like it? Second, you may want to evaluate early in the project whether the resulting manuscript might fit a small cluster of journals. Having multiple options for your work is desirable. One fundamental ground rule for a safe environment that all members of the class community — instructors and students alike — respond to each other with understanding and empathy, especially when there are sharp disagreements. 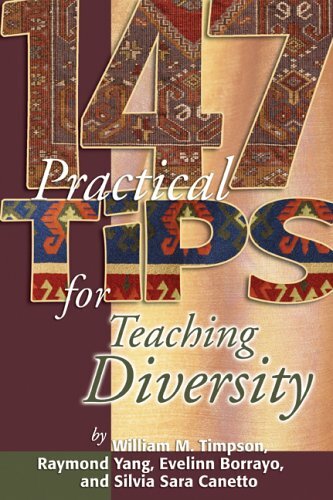 Reexamine the language used in a particular class that dealt with some aspect of diversity. For the purposes of expressing and discussing more precisely, consider the impact of alternative language — terms, concepts, qualifying adjectives and adverbs — that could have been used. 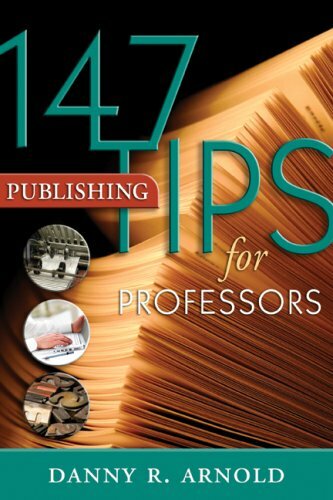 Finally, we have another splendid tip from our forthcoming latest edition to the Tips series, 147 Practical Tips for Emerging Scholars by Kathy King and Ann Cranston-Gringas. 11. Identify and list the areas and strengths of your academic preparation and research interests. Some of the strongest determinants in one’s early research and publication agenda will be one’s academic preparation focus and initial research interests. Indeed, for doctoral students, we recommend exploring research areas, building a foundation for your likely dissertation topic. In this manner, your work will build valuable background knowledge and perhaps data for your future effort. For early career faculty members, it is likely that your initial research and publication agenda will stem from your dissertation. Revisit the recommended future research sections of this document and your notes from your dissertation defense to see what leads you may uncover. We encourage faculty to explore more than one theme or focus of research in order to provide fresh perspectives, additional collaboration, publishing and funding opportunities. Continuing in our brand-new (but sure to be time-honored) tradition of tip-sharing via blog, we present you with the Tips of the Week. Savor and mull over these delightful morsels of education advice, and check back in next Tuesday for more! 48. Find out more through follow-up questions. Students learning from nature at school is so important. Outside areas can be converted to gardens for what once grew locally. Students can see what it is like to grow gourds in the fall, tend the land, observe the wildlife, and participate in the process of nurturing plants and protecting wildlife. 97. Use learned presentation skills. If you are using videoconferencing, webconferencing, or webcasting, your course participants will spend a great deal of time watching you and listening to you. Remember that your presentation skills will be magnified through the lens of the camera and through the microphone. Learn about presentation skills and practice them. It’s always a good idea to practice your presentation skills with a pilot audience for feedback and critique, or tape yourself while you’re presenting and watch the tape for self-critique. We’re so excited to be here in the blogosphere, and we hope you are too. To celebrate our new blog (this one you’re reading!) 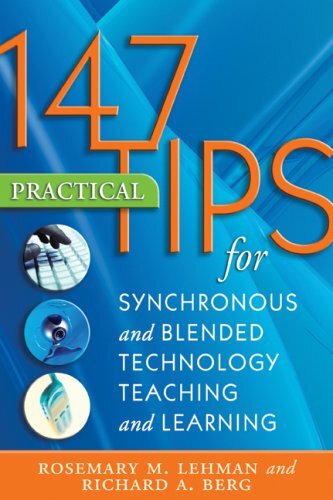 and to jump-start our weekly sampling of handy and thoughtful tips for educators, we’re laying out a veritable feast of not one but three handy tips from different books in our ever-popular 147 Tips series. 21. Don’t forget the spice. How often have we heard that variety is the spice of life? And how often do we think only in terms of matching delivery with material? Sometimes what’s appropriate for three minutes may not work for seven. Switch to another delivery — a different tone, a different phrasing — just for variety. In baseball terms, it’s not the pitch itself as much as the change of pace. 135. Help your learners manage information. With an abundance of text-based resources, managing information becomes an important skill to acquire when learning online. This calls for managing access to resources, academic discourse, information flow, and service arrangements. 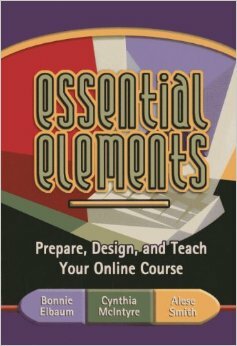 Include in your syllabus all of the possible ways learners can access information through Internet hyperlinks or web-based procedures that emphasize certain skills. 4. Engage, connect, and construct. In experiential education, learning is an active and constructive process where knowledge is constructed by the interaction of the learner directly with the phenomena. The facilitator works to engage participants with the knowledge/experience and with each other. Here the learner is an active participant whose individual life experiences, loves, passions, biases, and prejudice are intimately involved in the learning process. Together groups of students can create vibrant learning communities. For an upcoming session, diagram the ways in which you would like to see the flow of information, ideas, and power happen. How can this model help you understand a particularly meaningful experience in the past?